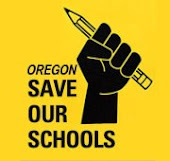 On September 24 at the Oregon Department of Education’s Title III Directors webinar, the directors heard about some changes in the ELPA21 test that could potentially discriminate against English Language Learners. This slide from the meeting shows the shocking news that was revealed. 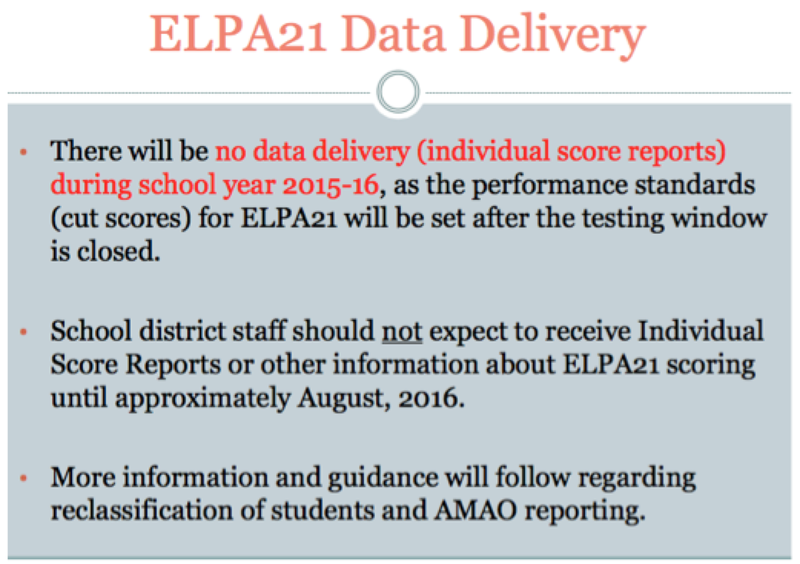 The new ELPA21 test will be rolled out on time despite dangers to students, civil rights issues, and that it isn’t ready yet. Historically, ELPA (English Language Proficiency Assessment) scores come before the end of the school year and decisions about whether students can be exited or continue to receive services are triggered by that score. Each district or consortium has an approved Lau plan, which outlines identification and exiting procedures, and the ELPA score is an important part of the body of evidence used to make exiting decisions. The ODE also stated that most of the assessments that have been part of that body of evidence can no longer be used as they are not aligned to the new standards. The effect of the data delay will result in students and teachers not knowing what to do in order to meet the requirements for exiting the program and many students’ status in the ELL (English Language Learners) program will be in limbo. Schools will have difficulty in planning for staffing requirements for the 2016-17 school year. Students could miss out on the chance to get their desired electives or other graduation requirements because it will be unknown if they have to take an English Language Development class. Older students and their parents have become accustomed to hearing students’ exiting status at the end of the year, and look forward to their “graduation” from the program. To make matters even worse, it was also announced that the adaptive algorithm will not be functioning this year. The test will not be adaptive resulting in additional testing time and student anxiety. And the practice test for ELPA 21 will not be ready on time so students can practice with Oregon’s platform. 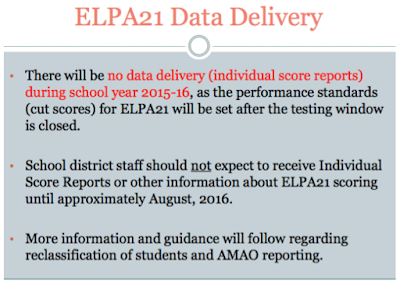 The above factors all point to the need for a delay in the implementation of the ELPA21 test. To go forward with this test in the manner described is further cause for concern that the state is using students as uncompensated test subjects, who have not given informed consent to participate in the validation of an unproven test. Once again, as with SBAC, the data collection has become more important than the kids.